I have always admired great Dharma masters from a young age. I remember seeing a picture of Kyabje Pabongka Rinpoche when I was about 16-17 years old. 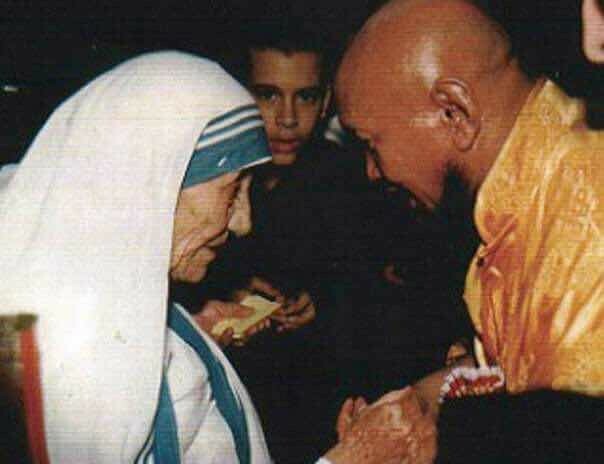 I felt such a strong attraction to that picture of Kyabje Pabongka Rinpoche and I still remember it clearly. Although I did not know who the lama was, or where he was from, or how great he was… I naturally felt close to him. So I always kept a picture of Kyabje Pabongka Rinpoche with me from then on. It was only later in life, years after first being attracted to Kyabje Pabongka Rinpoche’s image did I come to know who this great lama was. Since I admired Kyabje Pabongka Rinpoche, this also naturally made me admire his guru, Tagpu Pemavajra. Tagpu Pemavajra was a highly attained lama who had many authentic visions of the Buddhas and even received direct teachings from them. For example, he was a great devotee of the goddess Tara, propagated the Cittamani Tara Tantras to many who were qualified, and even received direct visions of Tara herself. 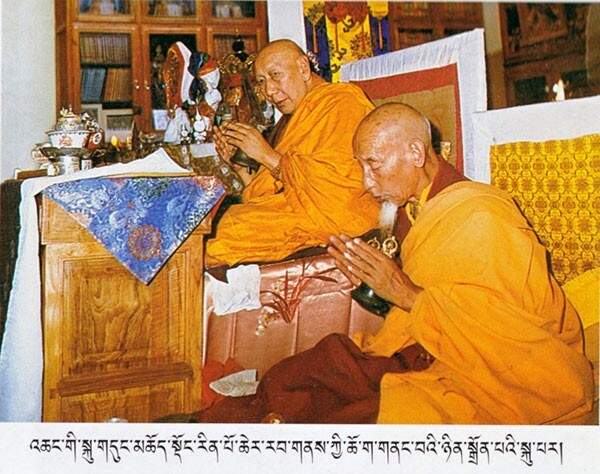 Upon Kyabje Pabongka Rinpoche’s request, Tagpu Pemavajra also travelled to Tushita, the heavenly abode of Lama Tsongkhapa. 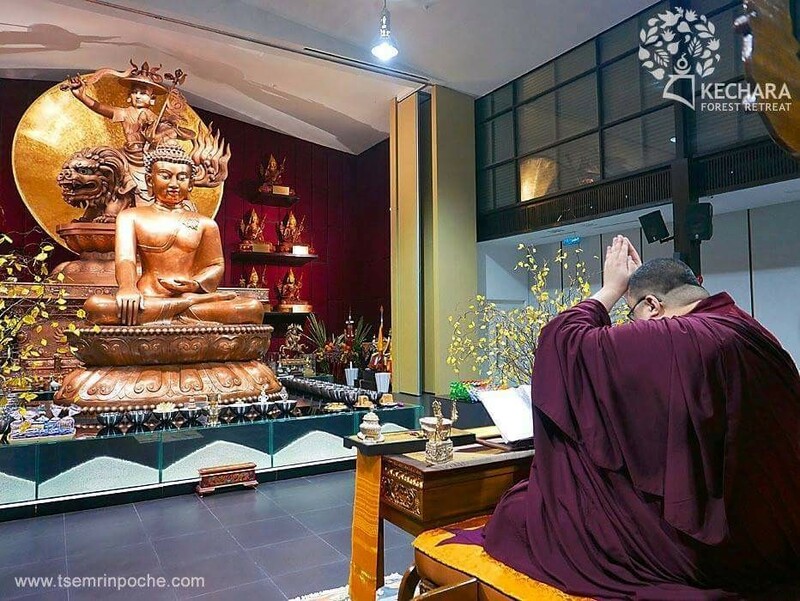 There he received the complete cycle of teachings on Dorje Shugden as well as Dorje Shugden sogtae (life entrustment initiation). Such teachings are received from the Buddhas either to revive those that were lost due to broken lineages, or when new teachings are needed or are more effective for beings in our current generation. Tagpu Pemavajra was one such lama who was attained enough to receive these teachings for the benefit of others. Although he was not a widely famous lama such as His Holiness the Dalai Lama or His Holiness the Panchen Lama, his pure visions of the Buddhas were highly respected and definitely authentic. So I wanted to share with you the story of this great master, who is one of our lineage masters, so that you can appreciate where the practices we engage in originate from and also to be inspired. Just as it is stated in the Lam Rim, we should learn the biographies of the great masters as it will benefit our practice. So please do make the effort to learn about the various lineage lamas as it will help you to build unshakable faith in their teachings. This is a painting of Tagpu Pemavajra which I have recently commissioned. As his pictures are very rare, I have made this available for you to download so you can learn more about this great master. Click on image to enlarge. 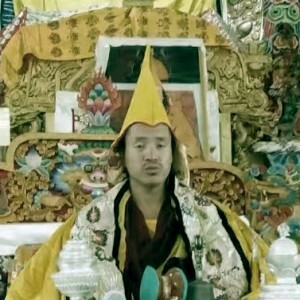 Tagpu ‘Pemavajra’ Jampel Tenpai Ngodrub is more commonly known amongst the high lamas and scholar-geshes as Tagpu Dorje Chang. 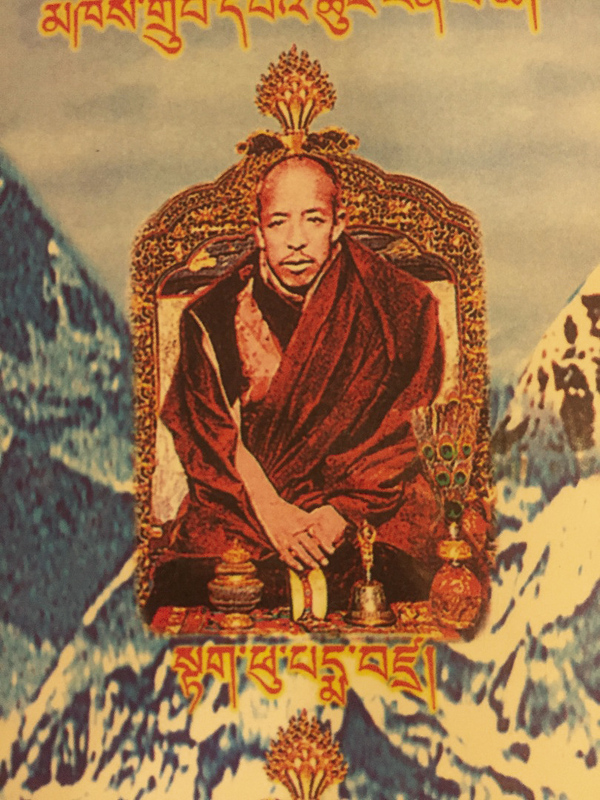 Although lesser known to the ordinary practitioner, he was instrumental in the development of the modern-day Dorje Shugden practice within the Gelug tradition. This great master took rebirth in 1876 in Naksho, Kham province, Tibet. 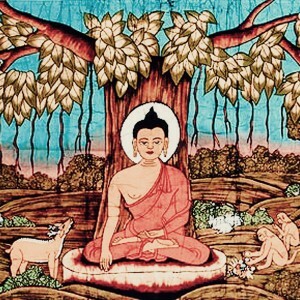 Although the Tagpu line of incarnations were Gelug lamas, they were known more for their extraordinary meditative experiences that arose from their meditations in isolated places rather than scholarly pursuits in monasteries and debate courtyards so often associated with the tradition. Therefore, if historians were to follow this list above, Jampel Tenpai Ngodrub would be the 8th Tagpu incarnation, immediately after Lobsang Dondrub who is the 7th. However, the Tagpu incarnation line is also closely associated with the name ‘Garwang’, which is a contraction of ‘Gargyi Wangpo‘. 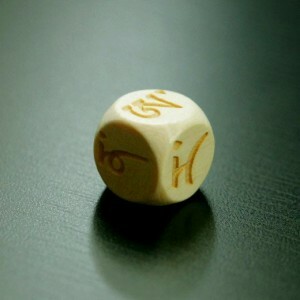 This is a name that was particularly used by Lobsang Chokyi Wangchuk (the 5th Tagpu, according to the list above). It was Lobsang Chokyi Wangchuk who originally called himself Gargyi Wangpo in his writings that detail his meditative astral-travelling experiences. 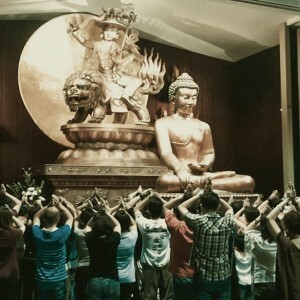 Lama Tsongkhapa (center) with his main disciples. 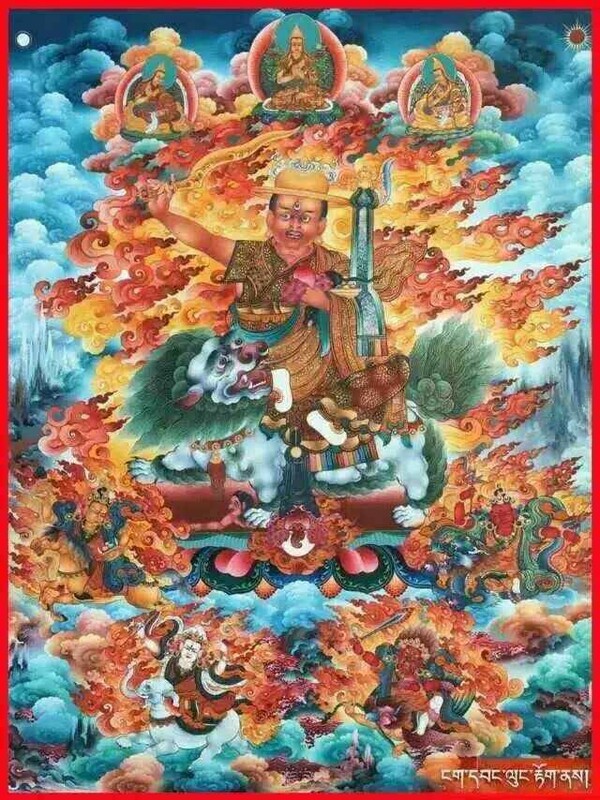 When Tagpu Pemavajra travelled to Tushita, which is the heavenly abode of Lama Tsongkhapa, he received from Dorje Shugden himself the complete cycle of teachings on the Dharma Protector Dorje Shugden. In the second volume of his collected works, Jampel Tenpai Ngodrub identifies himself as the 4th Gargyi Wangpo. 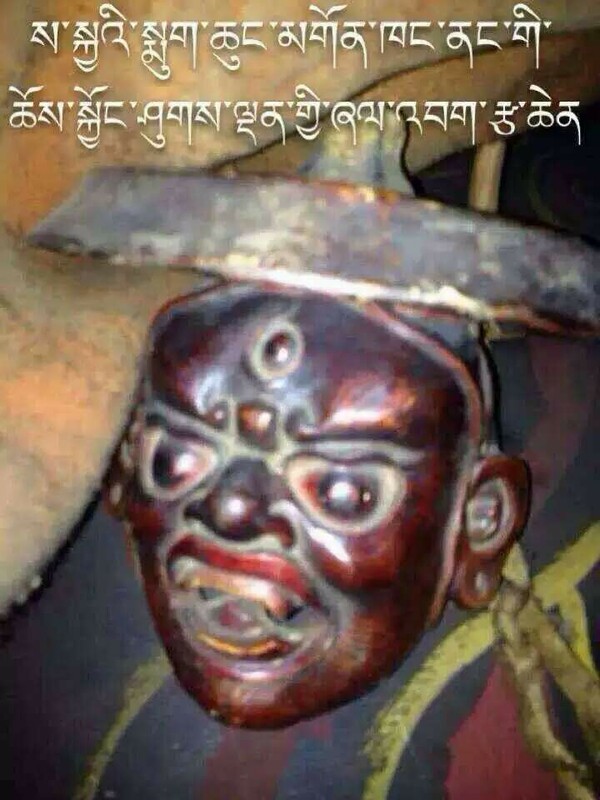 This suggests that Chokyi Wangchuk was the first ‘official’ Garwang incarnation and for this reason, Gelugpas today generally consider Jampel Tenpai Ngodrub to be the 4th Tagpu incarnation. Lobsang Tenpai Gyeltsen (the 4th in the above list of incarnations) was the teacher of Changkya Rolpe Dorje and disseminated many profound teachings to him including the 13 Golden Dharmas from the Sakyas and in particular, the Vajrayogini cycle of teachings. In fact, he was one of the earliest Gelug masters to compose a commentary on the Naro Kacho lineage of Vajrayogini and influenced Changkya Rolpai Dorje to practice Vajrayogini extensively. Both masters would meet again when Lobsang Tenpai Gyeltsen took rebirth as Tagpu Pemavajra and Changkya Rolpe Dorje as Pabongka Rinpoche. 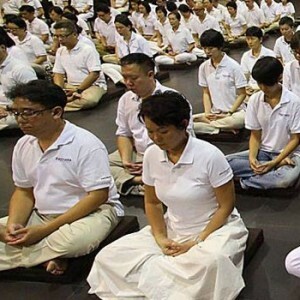 Whatever the case may be, the Tagpu line of incarnations have always been known to be highly attained meditators, renowned in particular for their pure visions of deities. 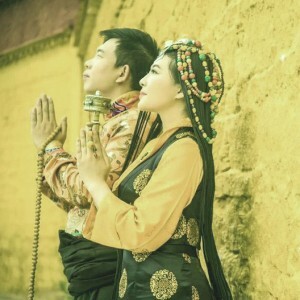 They are also known for their ability to astral travel to various pure lands and receive special teachings and lineages from the Buddhas there. The most famous Tagpu incarnation for such pure visions was Lobsang Chokyi Wangchuk or, as he called himself, Garwang Chokyi Wangchuk or just Gargyi Wangchuk. He received what are known today as the Thirteen Pure Visions of Tagpu, and these teachings contain deity practices such as Hayagriva, Amitayus, Avalokiteshvara and Tara that arose from a series of visions. 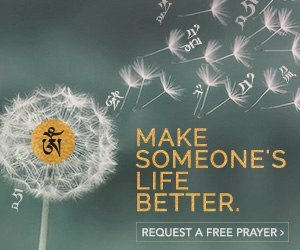 The most famous of these visionary practices is that of Cittamani Tara, a unique form of highest yoga tantric practice centred around the Buddha Tara. 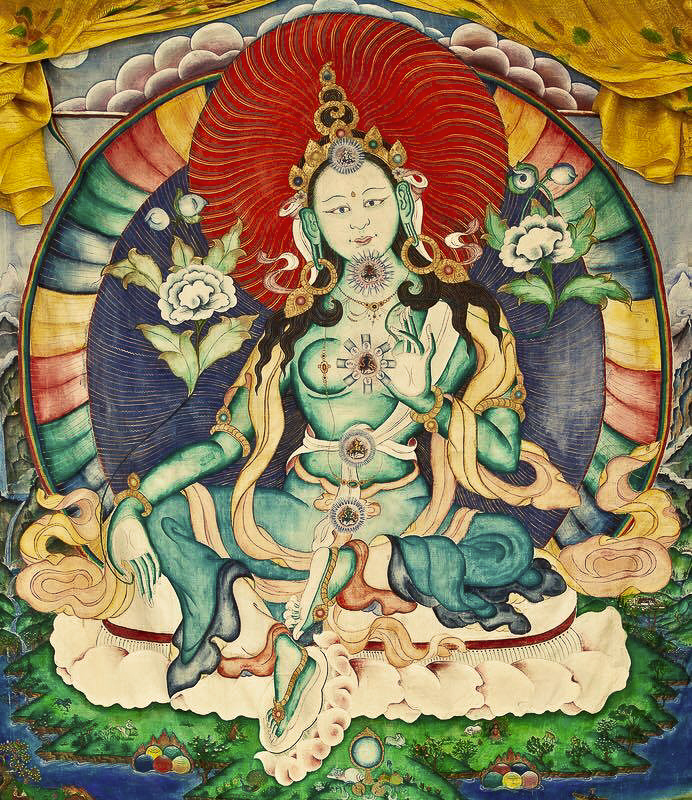 These teachings descend directly from a vision of Tara herself. Cittamani Tara. The Tagpu line of incarnations is very closely associated with Tara, having directly received teachings from her. 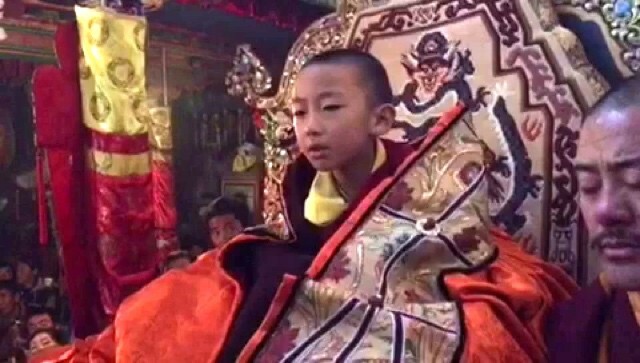 Tagpu Pemavajra entered Drepung Loseling Monastery near Lhasa in 1888, when he was just 12 years old. 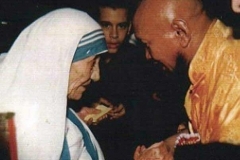 There he engaged in monastic education, which traditionally involves the study of Pramana (logic and dialectics), Madhyamaka (middle way view), Prajnaparamita (perfection of wisdom), Vinaya (monastic codes of conduct) and Abhidharma (epistemology). In 1894, he completed his studies and returned home to Naksho. 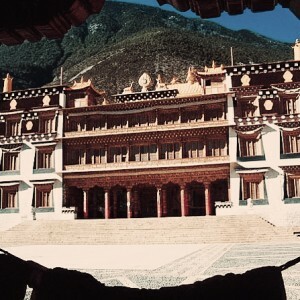 When he turned 30, he traveled to Lhasa and spent much of his time at Chuzang Ritroe, a famous hermitage above Sera Monastery, which is not far from Lhasa. It was at Chuzang that he met and taught his most famous of disciples, Kyabje Pabongka Dechen Nyingpo (1878-1941). Pabongka Rinpoche made many requests for teachings, which resulted in Tagpu Pemavajra bestowing a number of important transmissions. Needless to say, these included the composition of a new initiation manual for the Thirteen Pure Visions of Tagpu. 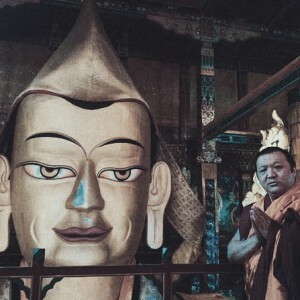 It was also at Chuzang Ritroe that Pabongka Rinpoche would meet and teach the young lama Trijang Lobsang Yeshe Tenzin Gyatso (1901-1981), more commonly known as Trijang Rinpoche and who later became one of the tutors of His Holiness the 14th Dalai Lama. According to one account, Pabongka Rinpoche was prompted by Dorje Shugden via an oracle to compose a life-entrustment initiation ritual text. 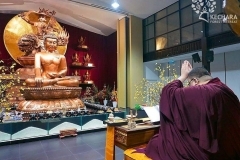 Subsequently, Kyabje Pabongka Rinpoche presented an initial ritual text that he had composed to Tagpu Pemavajra and made the request for him to travel to Maitreya’s pure land of Tuṣhita, in order to receive teachings on Dorje Shugden. 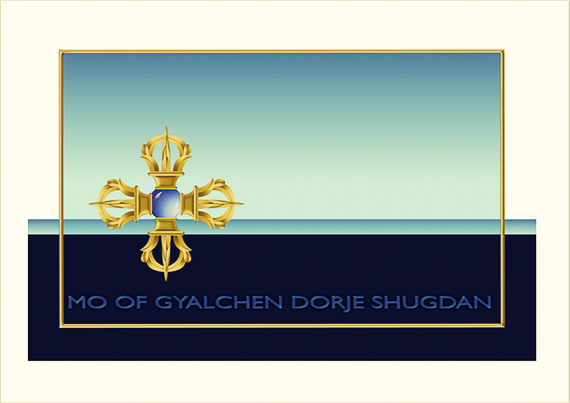 The Gaden tradition is named after this pure land and it is also believed to be the realm in which Je Tsongkhapa Lobsang Drakpa (1357-1419), the founder of the Gelug tradition, currently resides. Upon arriving in Tushita, Tagpu Pemavajra requested the teachings on Dorje Shugden from Duldzin Drakpa Gyaltsen (1357-1419). 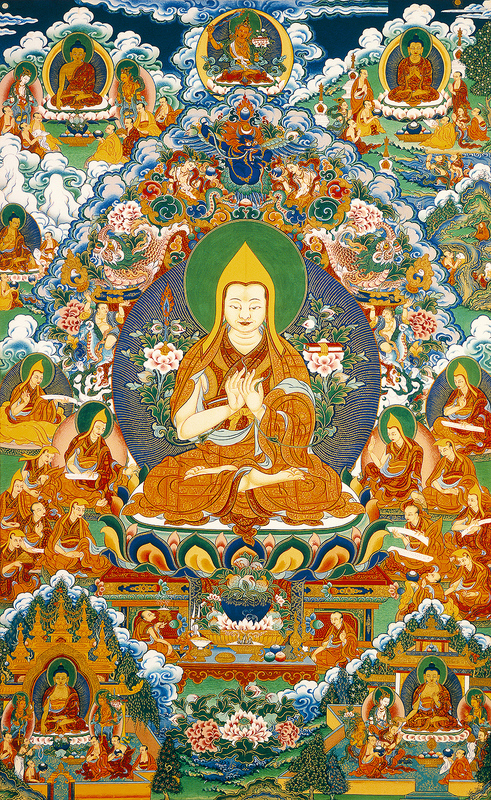 However out of reverence to his teacher who was also present, Duldzin requested permission from Je Tsongkhapa. 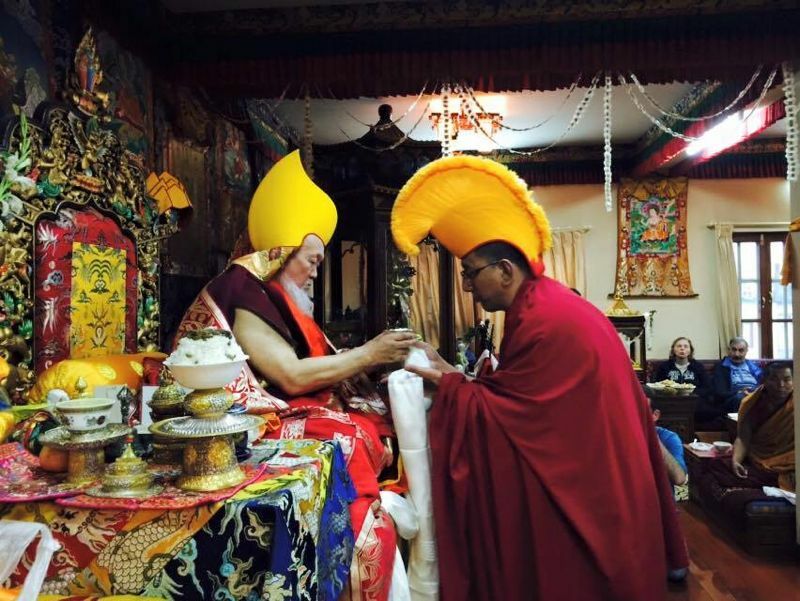 Consequently, Je Tsongkapa lifted the silks from his throne and from under the throne, the entire mandala of Dorje Shugden manifested and Tagpu Pemavajra received the complete life entrustment initiation from Dorje Shugden himself. 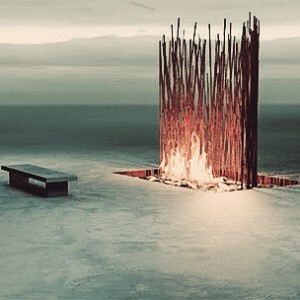 Today, the widespread acceptance of Tagpu Pemavajra’s mystical visions are highly unusual as lineages and teachings that have arisen from visions and termas are not easily accepted within the Gelug tradition. This is because the Gelug lineage lamas identify themselves as the heirs to the Kadampa tradition of the Indian master Dipamkara Srijnana Atisha which emphasises humility and monasticism. The Kadampa model of practice is to adopt the outer practice of Hinayana, the inner practice of Mahayana and the secret practice of Tantra. 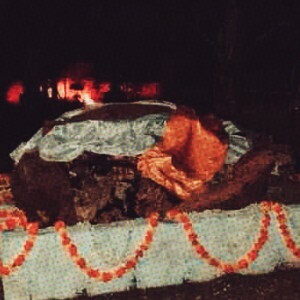 Hence, tantric attainments are never shown and throughout much of Gelug history, it was forbidden to openly display powers attained through tantric practice. In fact, in the past major monasteries would even expel monks who publicly displayed clairvoyance or other tantric attainments. So, it is highly unusual that Dorje Shugden’s life entrustment initiation, the Cittamani Tara practice and others are so widely accepted. 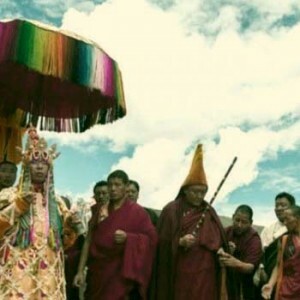 The only reason they would be practised at all within the Gelug lineage is because the high lamas have ascertained the efficacy of these practices and the lamas who practise them have achieved auspicious signs as well. 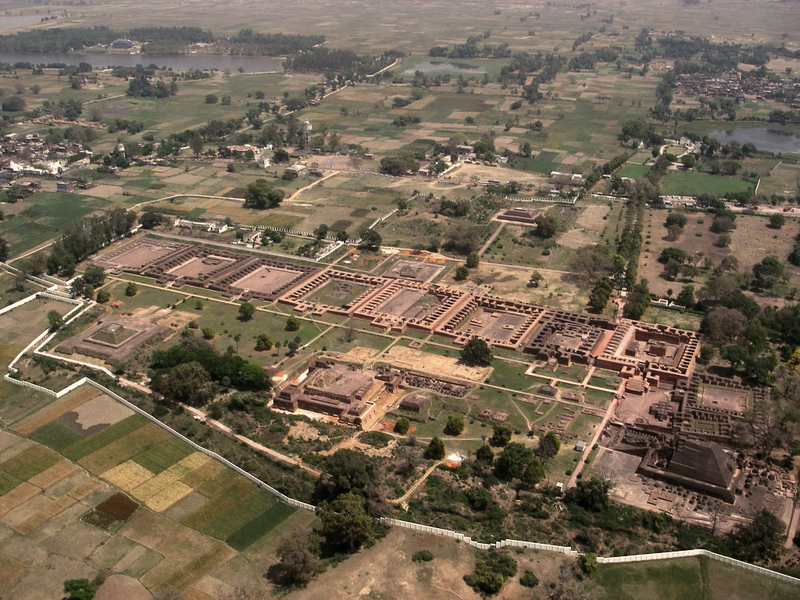 The Kadampa tradition of not revealing attainments or tantric powers stems from the ancient monasteries of Nalanda (pictured), Vikramashila, and others. 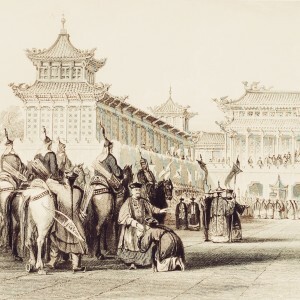 Tagpu Pemavajra made a number of significant trips to Lhasa. In 1923, he set out for Tibet’s capital and arrived soon after that year’s Monlam Chenmo or Great Prayer Festival. Just like on previous travels, he met up with Pabongka Rinpoche with whom he travelled to Takten Cave where he again had a number of visions, including one of Dromtonpa Gyelwai Jungne (1005-1064). On this trip to the central region of U-Tsang, Tagpu Pemavajra managed to meet the young lama Trijang Rinpoche. 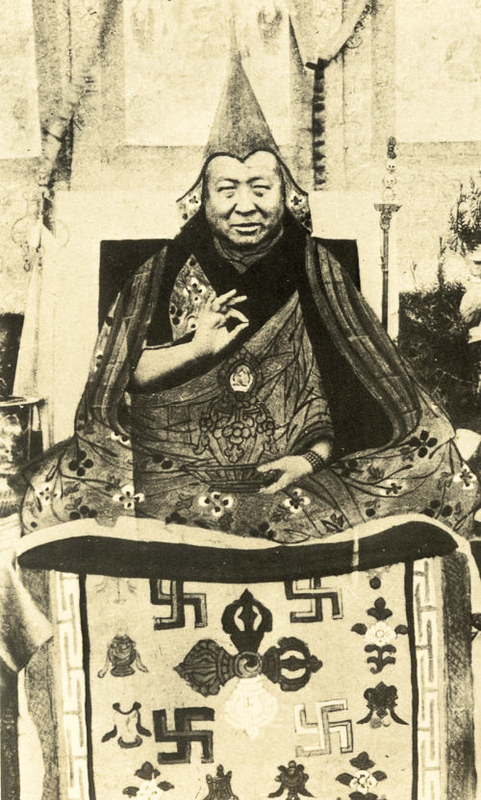 A lama named Sharpa Tulku had requested Tagpu Pemavajra to give a set of teachings and initiations on his own pure visions to a group of seven people including Trijang Rinpoche and the Regent Takdrak Dorjechang Ngawang Sungrab Tutob (1874-1952). 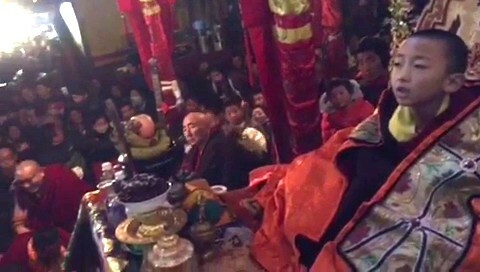 Trijang Rinpoche also privately received the secret jenang empowerment of Cittamani Tara directly from Tagpu Pemavajra. This happened to be the final empowerment of a series of three jenang empowerments on Cittamani Tara. The other two are the essential outer torma initiation and the inner body mandala initiation. He also received the Glorious Grant of Immortality long-life initiation, which arose out of a vision by the yogi Tangtong Gyalpo (1365-1434) – a practice that Tagpu Pemavajra had also bestowed on Pabongka Rinpoche during an earlier visit. As a young monk, H.H. 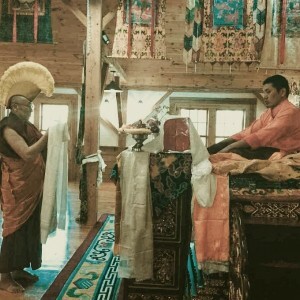 Kyabje Trijang Rinpoche received teachings, initiations and transmissions from Tagpu Pemavajra. This learned scholar and master practitioner later became known as the ‘teacher of teachers’, and would be selected as the tutor of H.H. the 14th Dalai Lama. 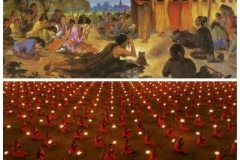 Having tremendous faith in Tagpu Pemavajra, Trijang Rinpoche requested divination concerning the deity to focus on as his main practice and what would happen to him at the end of his life. 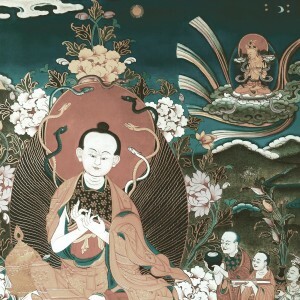 Tagpu Pemavajra was said to have made this request directly to Tara herself, and she responded with an eight-line poem that seemed to please Trijang Rinpoche very much. 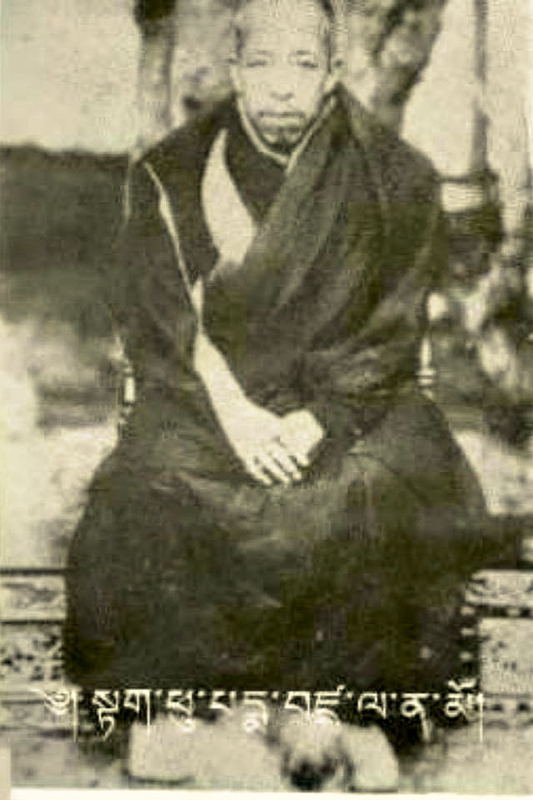 Apart from Pabongka Rinpoche, Trijang Rinpoche, and those mentioned above, Jampel Tenpai Ngodrub had many other illustrious disciples, students, and patrons from the highest echelons of Tibetan society, such as the Prime Minister Lochen Shatra Peljor Dorje (1860-1919). 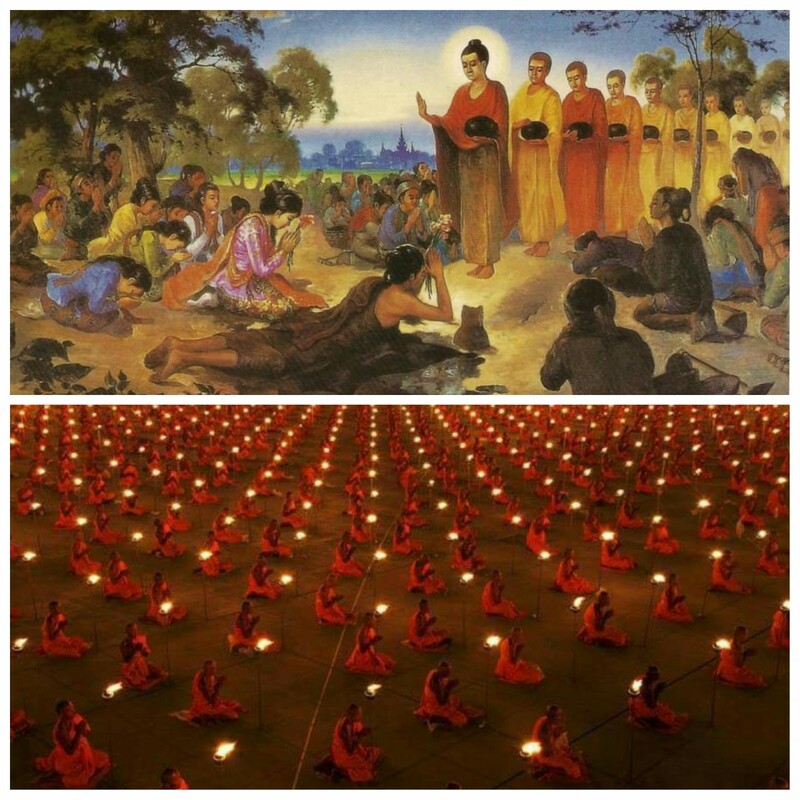 Upon conferring the teachings, Tagpu Pemavajra returned to his homeland in Kham. Sometime in the late 1930s, he made a trip back to Lhasa. 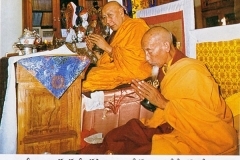 Upon arriving, he gave even more teachings and transmissions to Pabongka Rinpoche, including specific lineages of the Lam Rim and Lojong teachings, completion stage teachings of the Guhyasamaja Tantra and the Six Yogas of Naropa, along with the initiations and instructions on Heruka Cakrasamvara and Cittamani Tara. As a mark of their close relationship, Tagpu Pemavajra also received teachings from Pabongka Rinpoche, his own student, on several occasions. These included the teachings on the completion stage practice of Heruka and the initiations contained in the collection of sadhanas called Rinjung Gyatsa or The Hundred Which are a Source of Jewels. 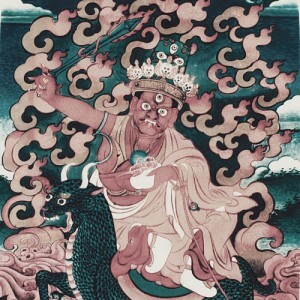 Along with his vision of Dorje Shugden, Tagpu Pemavajra had numerous other mystical visions. 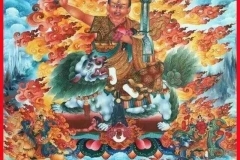 While at Chuzang Ritroe, he beheld a vision of the 62-deity body mandala of Heruka Cakrasamvara who bestowed the four initiations (wang shi) on him. 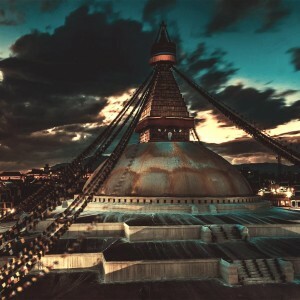 He was also able to uncover the location of a previously unknown sacred cave called Takten located near Chuzang Ritroe, which turned out to be a holy place associated with Heruka. 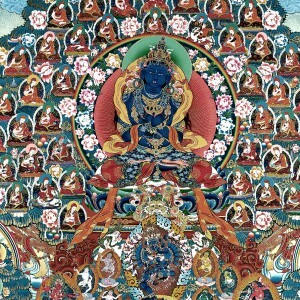 While engaging in retreat at the Nyang Caves near Samye Monastery, he beheld an extensive vision of Padmasambhava, his consorts, and a whole retinue of disciples. This dispels the prevalent view that Pabongka Rinpoche was apparently sectarian. His own guru, whom he received his most precious teachings from, held Padmasambhava in high regard and he surely followed suit. 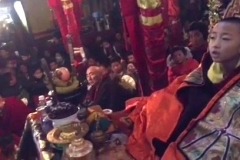 Even Pabongka Rinpoche’s own student, Trijang Rinpoche went on to bestow Padmasambhava empowerments and related teachings to the public when necessary. 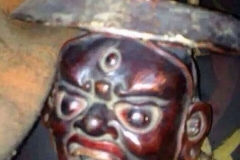 Aside from Dorje Shugden, Tagpu Pemavajra is also an important lineage holder of the close lineage of Cittamani Tara and he is believed to have had visions of the goddess Tara herself. 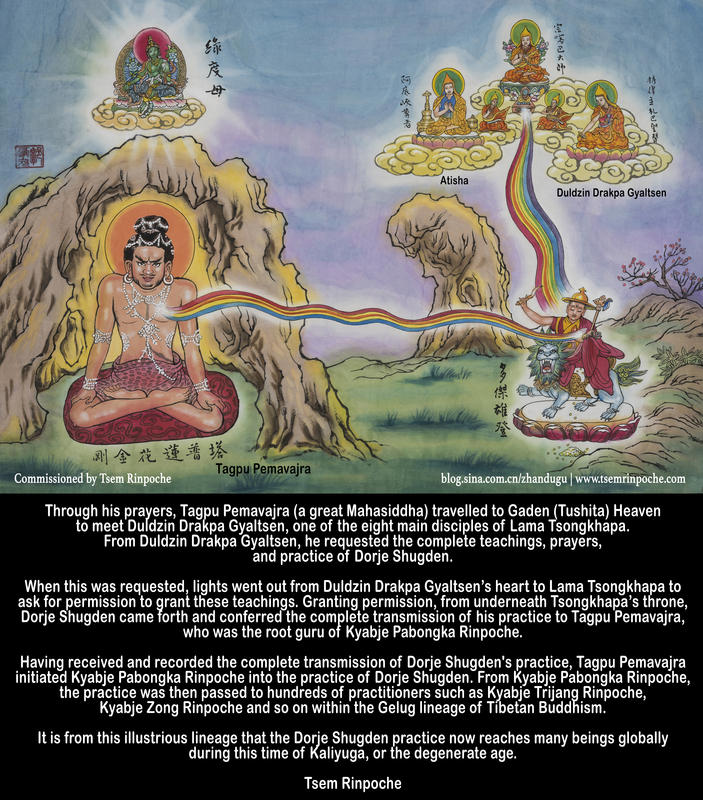 The Tagpu line of incarnations is well known to be able to communicate with Tara through such visions. 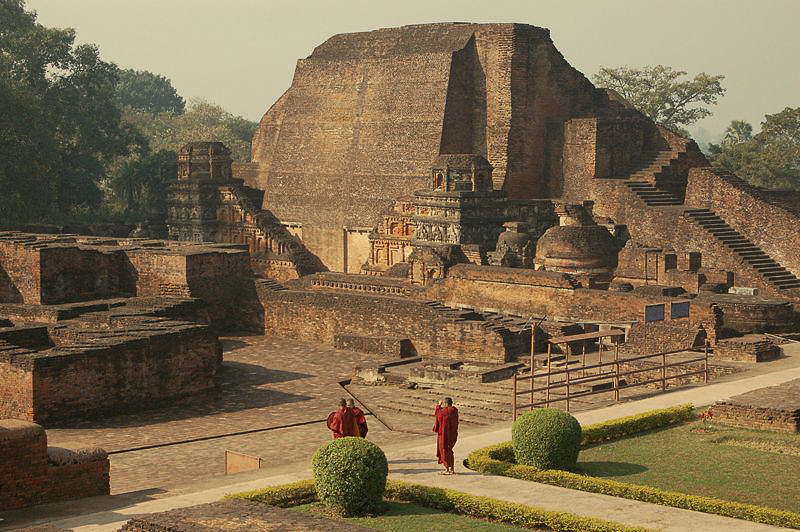 The Cittamani Tara cycle is unique in the Gelug tradition because it was originally taught by Tara herself as a anuttarayogatantra (highest tantra) practice, instead of kriyatantra (the lowest class of tantra) which Tara is usually associated with. 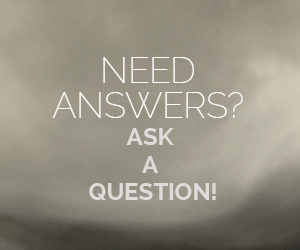 This is why it contains teachings on both the generation and completion stage practices, as well as the necessary empowerments, which are all elements of the highest tantra class. 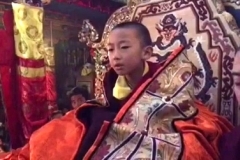 His Holiness Kyabje Pabongka Rinpoche, the heart student of Tagpu Pemavajra. Pabongka Rinpoche’s works and teachings continue to be proliferated and relied upon by millions of practitioners around the world. Such was the calibre of Tagpu Pemavajra’s students. 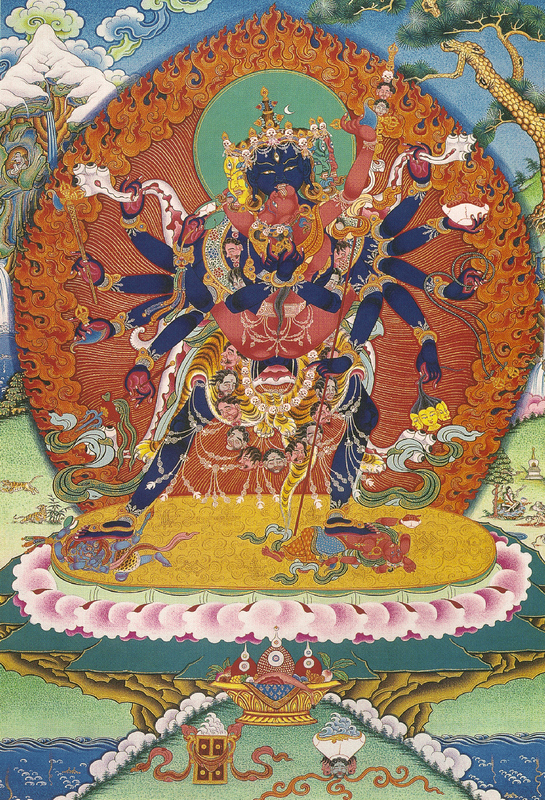 The Cittamani Tara cycle was later classified by Pabongka Rinpoche as being part of the Mother Tantra class (Tibetan: ma gyud). Following the passing of Tagpu Pemavajra, the main lineage holder of this cycle was Pabongka Rinpoche and then Trijang Rinpoche. In fact, both of these lamas went on to compose a number of important texts on this tantra. 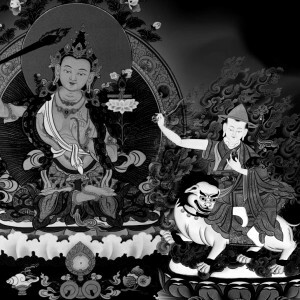 Since then, the Cittamani Tara cycle has been widely disseminated throughout the Gelug tradition. Pabongka Rinpoche himself travelled to Naksho several times in 1926 and 1935 in order to visit Tagpu Pemavajra. 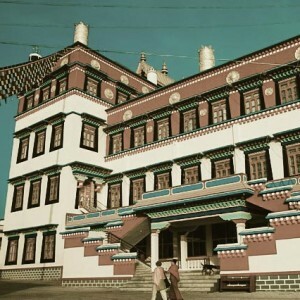 On his first trip to Naksho, Pabongka Rinpoche also visited Drubde Monastery, also known as Ganden Lukzang Kunphel Ling in Driru Dzong that was originally established by Tagpu Pemavajra in 1920. Tagpu Pemavajra bestowed teachings and initiations on Pabongka Rinpoche during these visits, which include the transmission of the Ganden Nyengyu teachings such as Lama Chopa (Guru Puja), a number of Lam Rim teachings, the Thirteen Pure Visions of Tagpu and especially the life-entrustment initiation of Dorje Shugden in the close lineage, which he had received in Tushita. Their final meeting was in 1935, and soon after, Tagpu Pemavajra entered clear light. 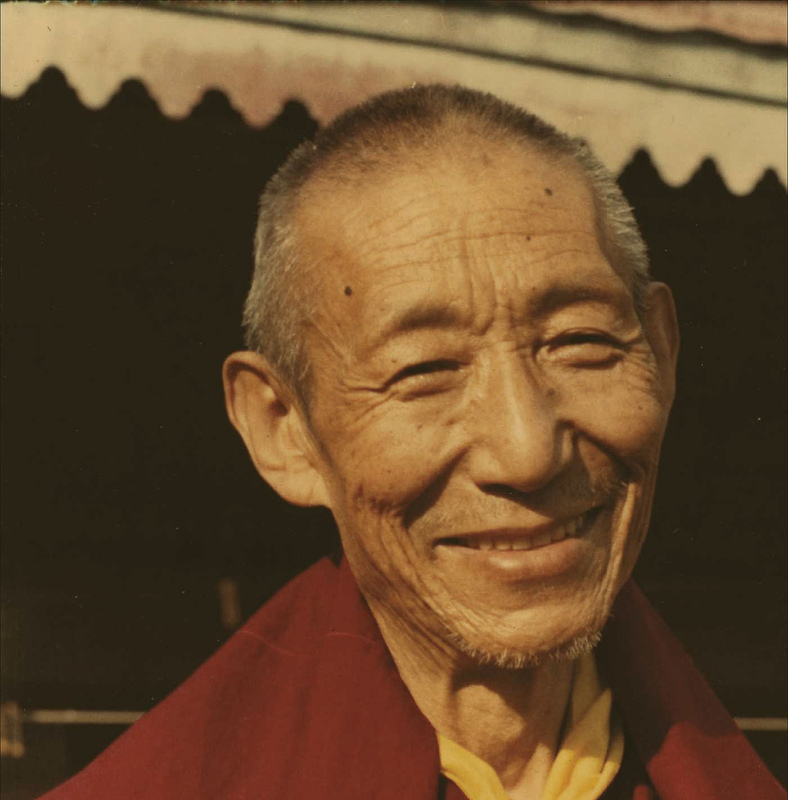 Officially, his passing was listed as being in 1922, but in both Trijang Rinpoche’s and Pabongka Rinpoche’s biographies, he lived well past 1923. This in fact matches other sources as well, including the biographies of several Chamdo lamas from the same period, who received teachings from Tagpu Pemavajra in the 1930s. 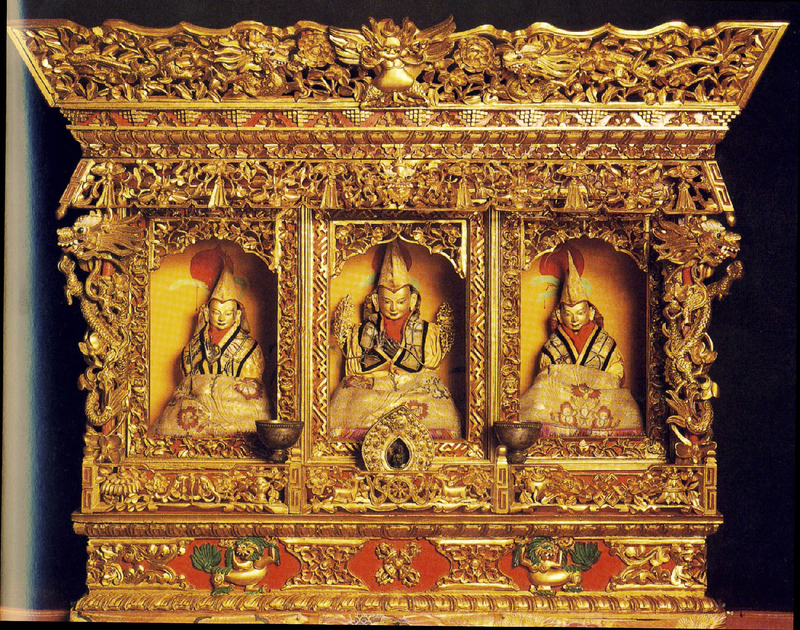 Lama Tsongkhapa with his principal disciples, Gyaltsab Je and Khedrup Je, pictured in an elaborate shrine. 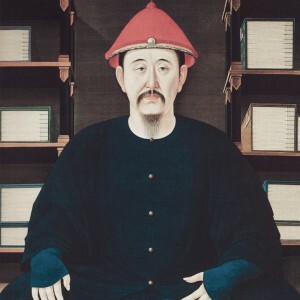 Some followers of the Gelug tradition consider Duldzin Drakpa Gyaltsen as one of the two heart sons of the original Je Yabsesum, until a later tradition replaced him with Khedrub Gelek Pelzang (1385-1438).